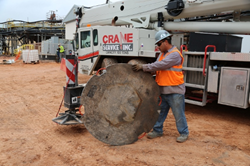 Crane Hot Line announces that DICA has added a fourth patent to its SafetyTech® outrigger pads. The most recent U.S. patent, issued in February 2016 (No. 9,254,821) is for C- or U-shaped TuffGrip handles used with any size or shape of SafetyTech pad. DICA’s SafetyTech products are designed to be strong and unbreakable, delivering the consistent engineered performance that our customers and their crews rely on every day. DICA has added a fourth patent to its SafetyTech® outrigger pads. The most recent U.S. patent, issued in February 2016 (No. 9,254,821) is for C- or U-shaped TuffGrip handles used with any size or shape of SafetyTech pad. “DICA’s SafetyTech products are designed to be strong and unbreakable, delivering the consistent engineered performance that our customers and their crews rely on every day. We are very happy to have received this new patent, which is reflective of the thinking, design and engineering our team puts into every DICA product,” said Kris Koberg, CEO. The TuffGrip handle system was introduced in 2011 to help improve the long term durability of DICA outrigger pad products and provide an increased level of ergonomic safety for operators handling SafetyTech outrigger pads. Handle length is a small but important example of the innovative thinking in DICA’s TuffGrip handle design. Handle length is specifically designed to encourage proper lifting that requires bending and lifting with the legs. The handle length also helps minimize trip hazards on the job site and, when being carried, reduces the “flopping around” of the pad common with excessively long handles. In addition, recessed handles are a key innovation on all round SafetyTech outrigger pads. The design allows for easy rolling of larger pads which reduces lifting stress and the potential for back injuries. Lastly, the TuffGrip handle material itself is an incredibly strong, yet comfortable, engineered thermoplastic. It’s backed by DICA’s unbreakable guarantee and resistant to UV degradation and chemical or water corrosion. 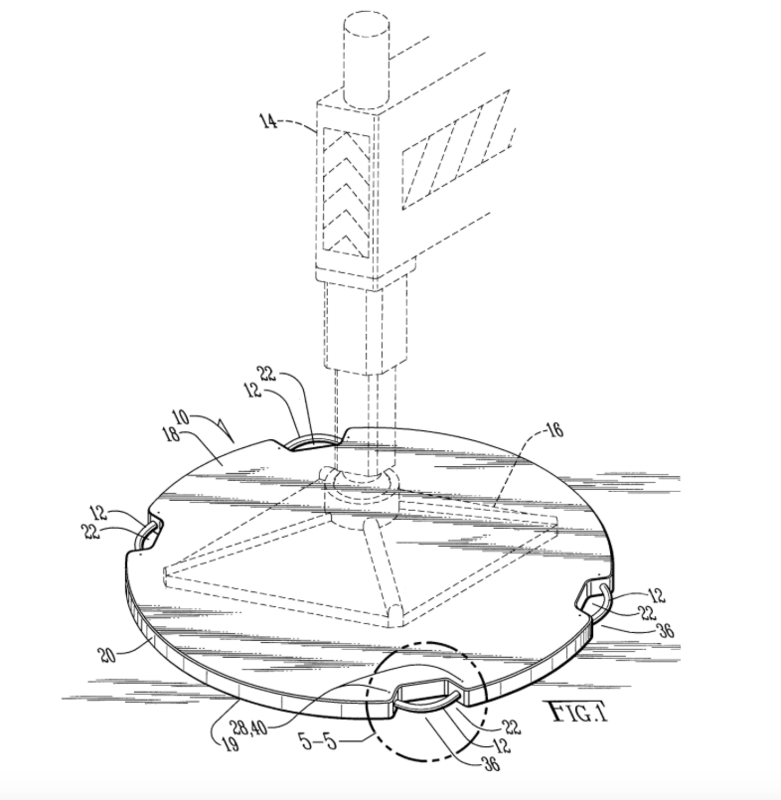 In addition to this newest United States patent, DICA also holds two other U.S. patents (8,814,121 and D686,794) and one Canadian patent (2,821,073) for the seating, insertion, and anchorage methods used for TuffGrip handles on various SafetyTech products. The first of these patents was received in 2013, and additional patents are currently pending in both the United States and Canada. DICA, Guthrie Center, Iowa, has been specializing in building a better outrigger pad since 1988. By creating engineered solutions for improving equipment stability and ergonomic safety, DICA is leading the way in product innovation for outrigger pads and crane pads. DICA outrigger pads and crane pads are used in 38 countries and on 6 continents around the world in construction, maintenance, electrical utility, oil and gas and tree care as well as local, state and federal government agencies. Learn more at http://www.dicausa.com. Heartland Communications Group Inc., publishes a number of heavy equipment magazines, electronic newsletters, and websites for the North American market. Its print products—Crane Hot Line, Lift and Access, Contractors Hot Line, Attachment Connection, and Parts Connection—analyze new technologies, discuss industry trends, and review unique applications for buyers and owners of construction and rental equipment.